This is the perfect time to take a step back and remember why you do what you do in the first place. 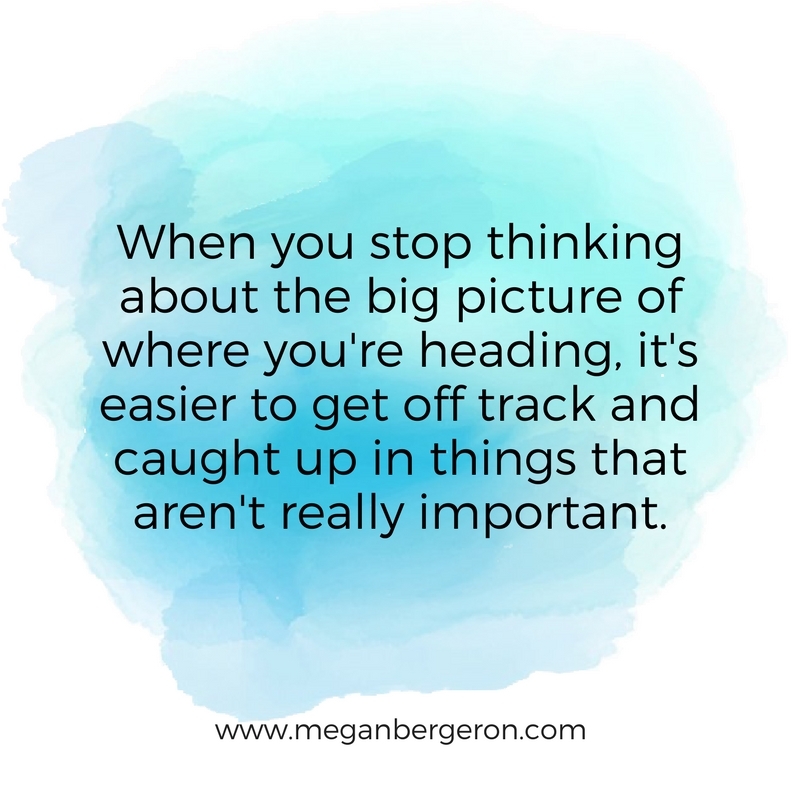 If you make your plans for the coming year with the big picture in mind, you'll be better able to set priorities and make the moves that are really going to matter and ultimately get you where you want to go. 1. What inspired you to start your business in the first place? It's normal for things to evolve as you move forward in your business. We can easily stop thinking about the thing that inspired us to start. It's critical to know why you do what you do, but let's take it a step further. What's the why behind the why? I'll use my own business as an example to show you what I mean. I'm really passionate about helping entrepreneurs succeed on their own terms, meaning I want to help them grow their businesses without sacrificing their personal lives in the process. That's what I do. But why do I even care about that? Why is it important to me personally? What inspired me to take this on and pursue this work? Well for starters, I've worked with tons of entrepreneurs and have seen so many of them struggle with too much unnecessary stress in their lives, and I've seen how that stress impacts their businesses. I've also had an intense burnout myself, and I know what it's like. 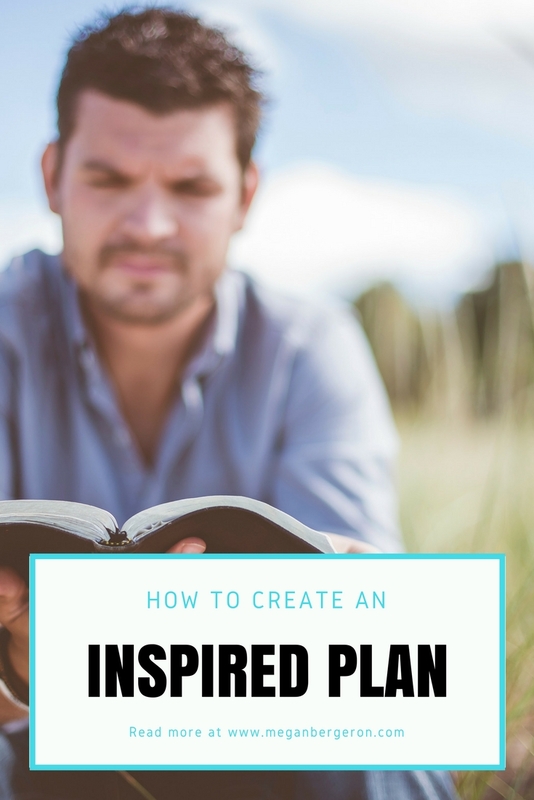 When I was going through that tough time, there was an online coach and trainer who really inspired me to not only turn things around for myself, but he made me want to help others in the same way. When I think about that inspiration, it stirs up intense feelings for me and makes me feel my purpose in a much deeper way. That's the driving force for working towards my goals this year. 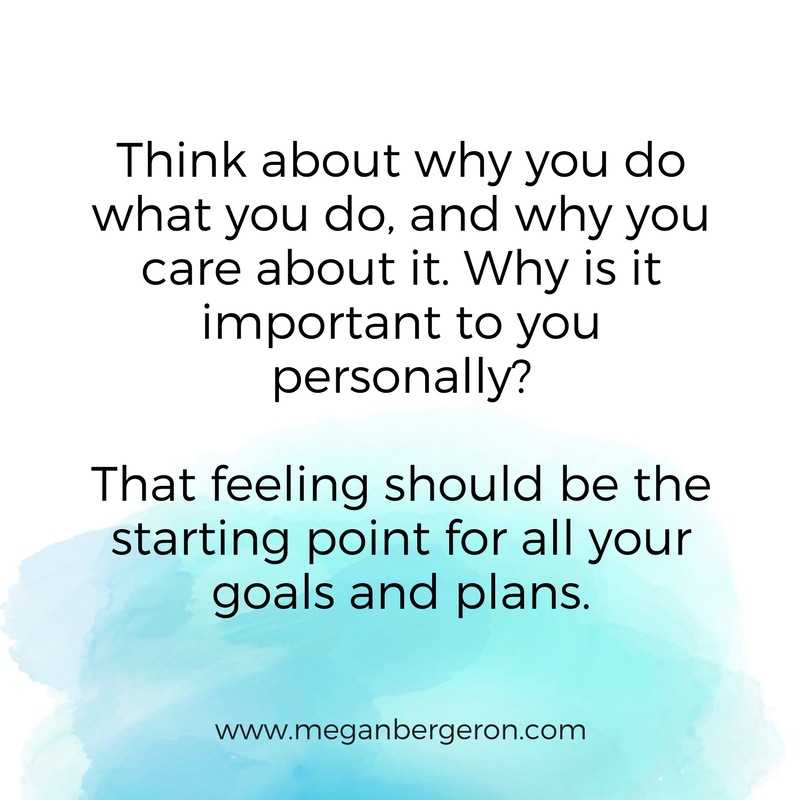 So, take a few minutes to think about not just why you do what you do, but also why you even care about it. Why is it important to you personally? 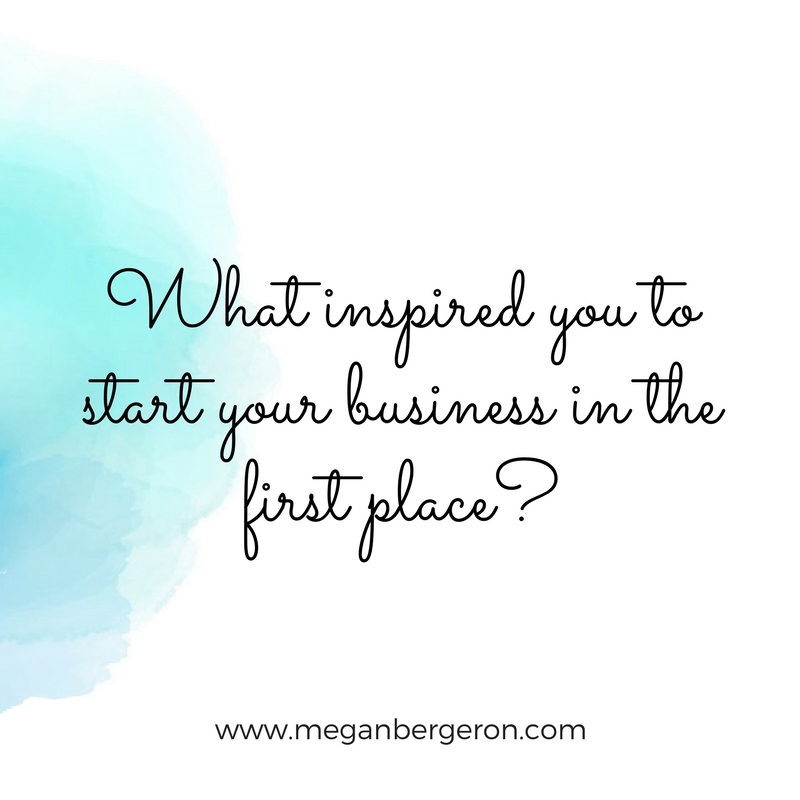 What or who inspired you to start your business in the first place? That feeling should be the starting point for all your goals and plans. 2. 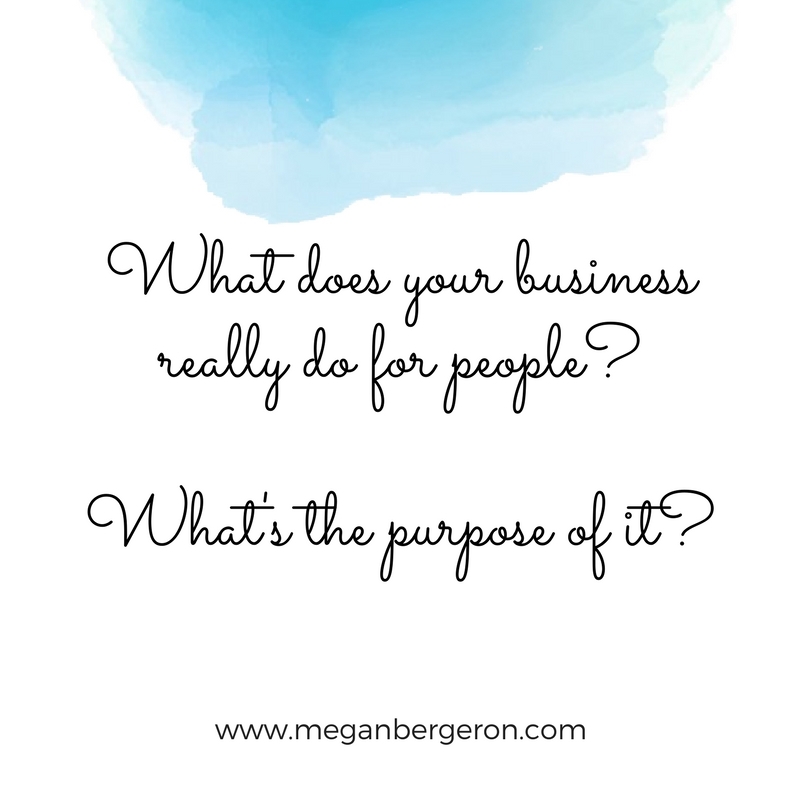 What's the purpose of your business? Now let's look at what your business really does for other people. What's the purpose of it? Why should anyone care about what you do? This might be closely related to your "why" and the reason you started your business in the first place. Or maybe it's not, and that's okay too. Either way, take a minute to think about it and define it. The best way I've found to get to the root of this is to ask myself "so what?". I'll show you what I mean. If I use the example of my own business again, the purpose is to help business owners grow their businesses without losing themselves in the process. So what? So that they can have balance in their lives and be successful without being stressed and burnt out. So what? Well if they're really stressed and burnt out, their businesses will suffer, and so will their personal lives. So what? They might not achieve the visions they had for their businesses and their lives. So what? They won't be happy. So, the purpose of my business, at the real root of it, is to help entrepreneurs be HAPPY. That includes business success, and balance with other parts of their lives. I keep that in mind in everything I do, and it's an amazing guiding light for my business! Try it for yourself, you might be surprised what you uncover! I highly encourage you to take a few minutes to ask yourself these questions and write down your thoughts. This could be just for you, or you could share your thoughts with others. Either way, having clarity around these things is essential and will take your planning to the next level. 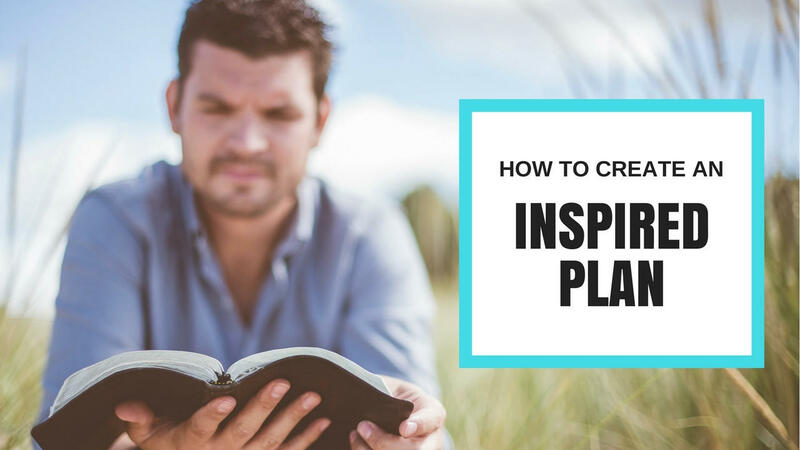 You'll feel more motivated and excited, and you'll have a compass for everything you do in this coming year. 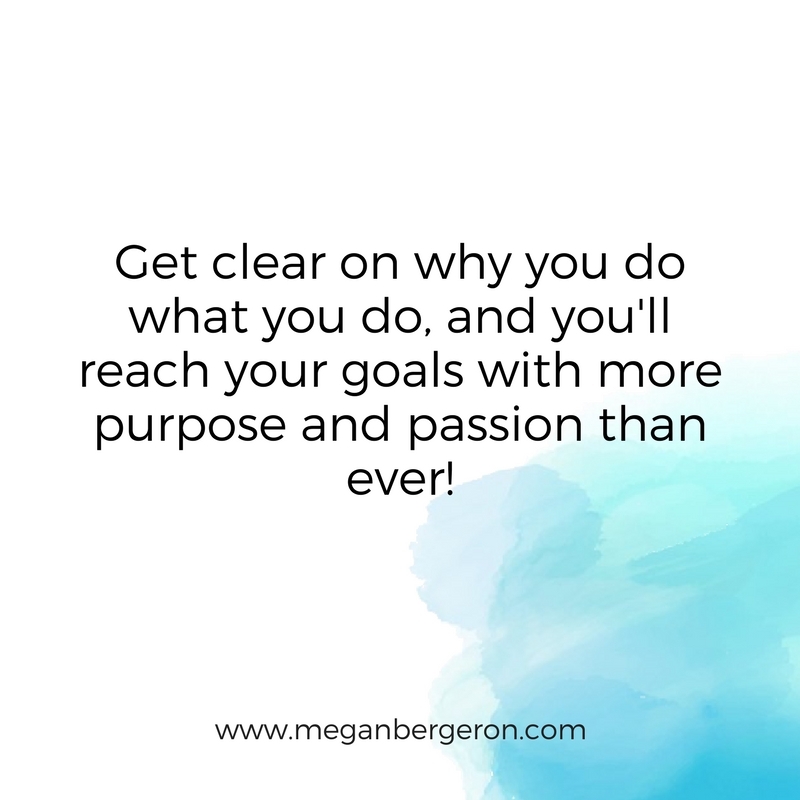 Get clear on these things, and you'll reach your goals with more purpose and passion than ever!